We hear a lot these days about diversity and marginalized people’s need to see themselves represented in books. Librarians, however, don’t generally have that problem—there are LOTS of books about libraries and librarians. 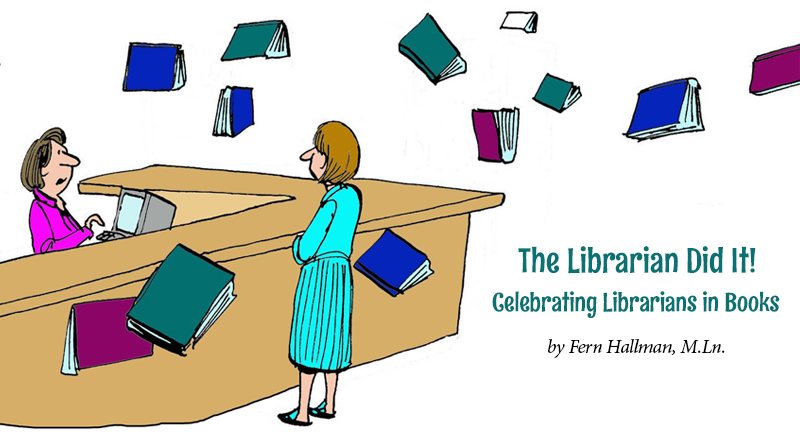 While some tend to reinforce the classic stereotypes we all know, there are many that portray librarians in positive and amusing ways. As librarians, many of us feel a sense of comradery upon opening a book that features a librarian in a leading role. 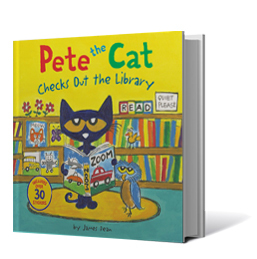 For many kids, one of the first role models they meet is their friendly local librarian. Librarians are portrayed in children’s literature in many different ways, often rather heroically. 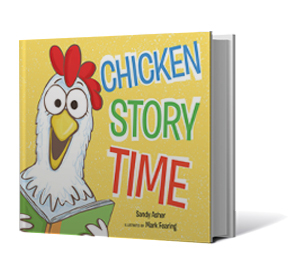 They manage unruly chickens, host a cool cat, and teach kids about technology. 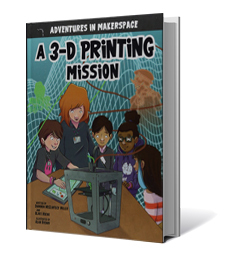 Librarians have been some of the strongest supporters of graphic novels, and there have been several graphic novel series featuring librarians as main characters. 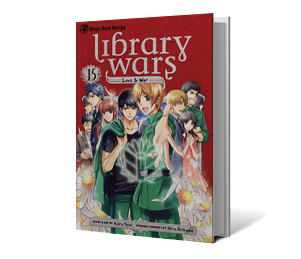 One of the most popular and long-running is the Library Wars series, in which librarians of the future protect their collections from a government committee that deems certain books to be unsuitable for society. 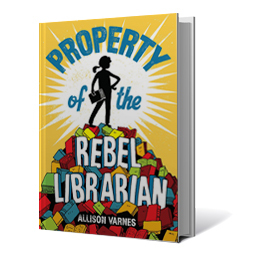 On a similar note, Property of the Rebel Librarian is a popular new title that tells the story of a young girl who takes on the issue of censorship, forming her own secret library when her school librarian is suspended. 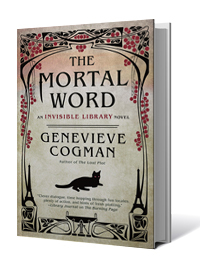 Genevieve Cogman’s Invisible Library series portrays the adventures of undercover librarians who travel to alternate realities to stock an interdimensional library that exists outside normal space and time. I guess somebody’s got to do it! 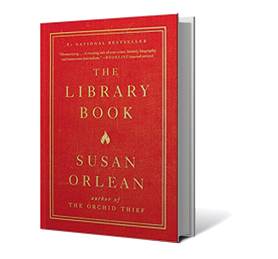 Susan Orlean is one of the most notable nonfiction writers of our time. She recently wrote bestseller The Library Book, centering on the devastating 1986 fire at the Los Angeles Public Library. 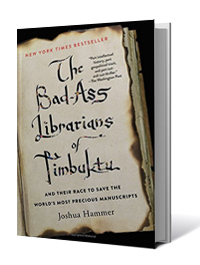 The book is more than just a documentary – it explains a lot about what libraries mean to their staffs and patrons. Here’s the glowing review from The Washington Post. 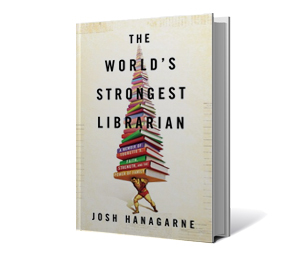 The World’s Strongest Librarian is a real departure from the typical librarian stereotype. The hero of this unusual tale, a factual memoir from a real person, is not a petite woman with her hair in a bun. This hero was raised a Mormon, has Tourette’s syndrome, and stands a full 6 feet 7 inches tall. Rather fittingly, however, one of the author's first loves was Ramona Quimby. Check out this review from The New Yorker. This inspiring true tale tells how Abdel Kader Haidara led a dangerous operation to save more than 350,000 volumes of ancient Islamic and secular manuscripts from destruction by Al Qaeda militants. The books were smuggled across the Sahara Desert and safely transported to Southern Mali. Click here for an overview. 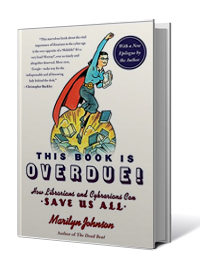 In this wide-ranging overview of the library profession, Marilyn Johnson explains that, while technology has changed many things over the years, librarians are still relevant and needed. She makes it clear that you can’t just Google everything, as many people now mistakenly believe. Take a look at this review from ALA.
Take some time to find yourself represented in a book about librarians—or find some inspiration and new ideas! View Selection List: Books About Libraries and Librarians.